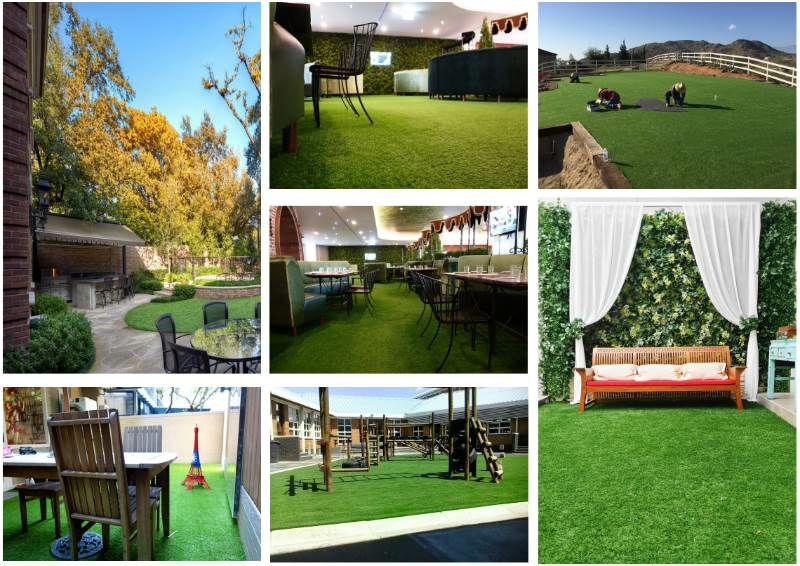 Artificial grass carpet roll has great advantages over natural turf. Natural turf is very expensive and needs regular maintenance. 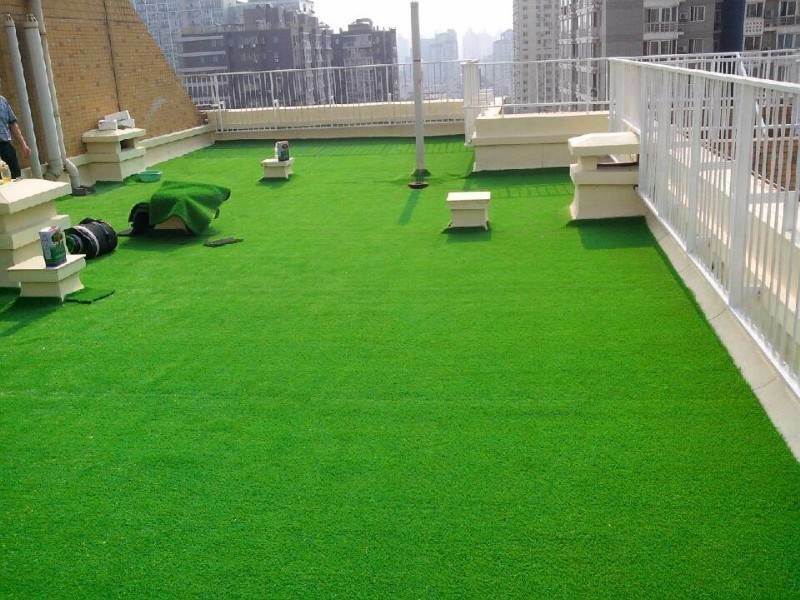 It is much higher than artificial grass carpet roll, and when our artificial grass carpet roll can be used, and the seasons are always spring, so Please choose our artificial lawn as soon as possible! 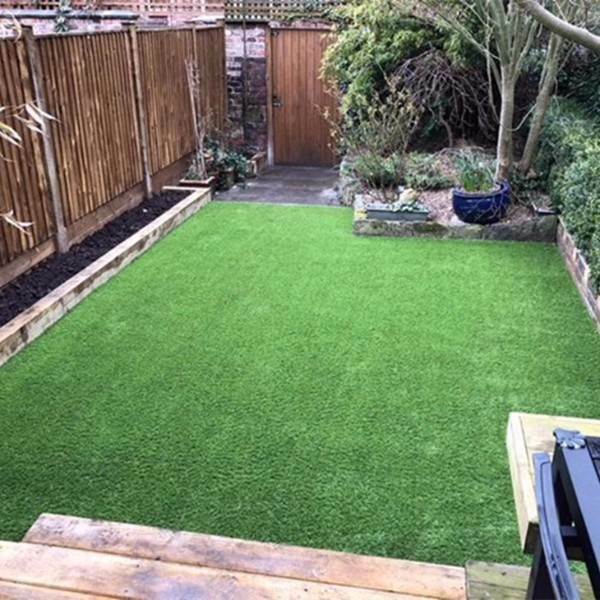 1.Artificial grass carpet roll, once installed requires little in the way of maintenance – no watering or mowing is required. 2. You save on the cost of water and buying and operating a lawn mower. 3. No expensive fertilizers and weed killers need be bought. 4. Because you do not need to use chemicals to grow or protect the grass, you are not adding to pollution levels and affecting the environment on an ongoing basis. 5. You will not have to spend time pulling out weeds. that natural grass will require. 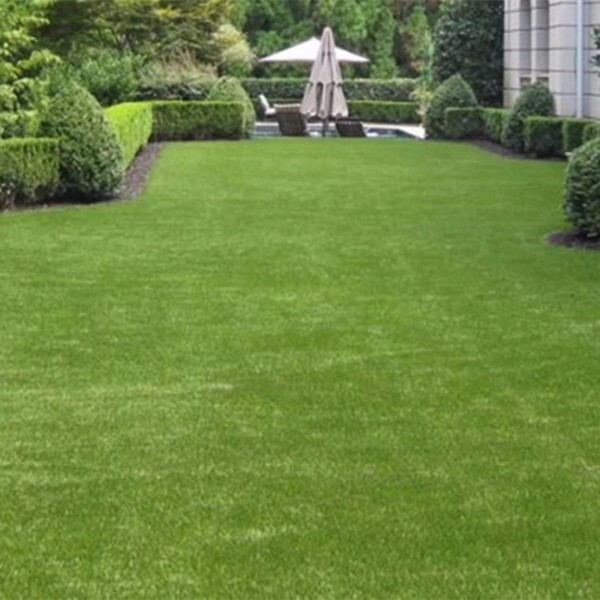 7.Artificial grass carpet roll carpet roll offers excellent drainage so after rain or the use of water to wash it, the grass it will dry quickly. 8. The good drainage also means that you don’t have to worry about puddles of water collecting and lasting for days andthen leaving patches of mud for the unwary to step in. 9. Play sports on the lawn will not damage the grass. 10. 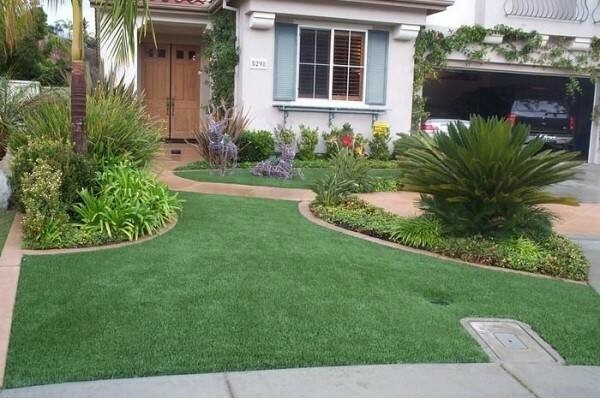 Artificial grass always looks perfectly manicured so you will never be embarrassed by an unkempt lawn. 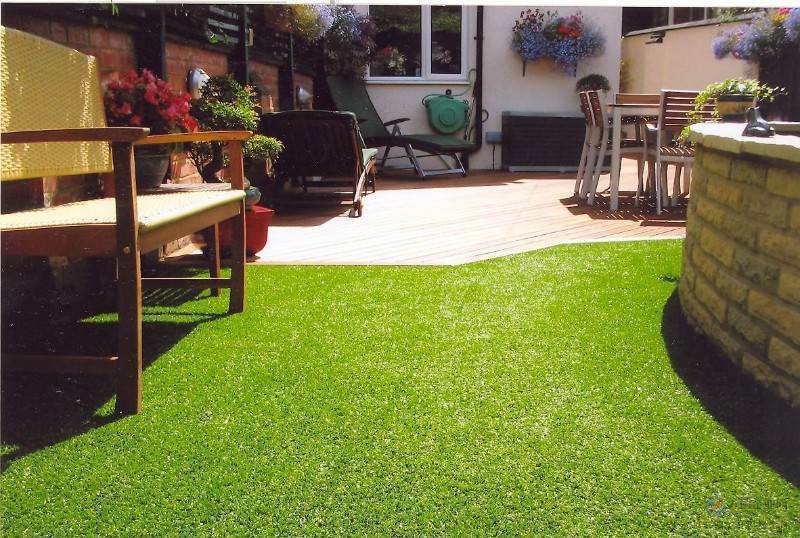 The artificial turf has good UV stability and is guaranteed to adapt to all kinds of weather around the world. 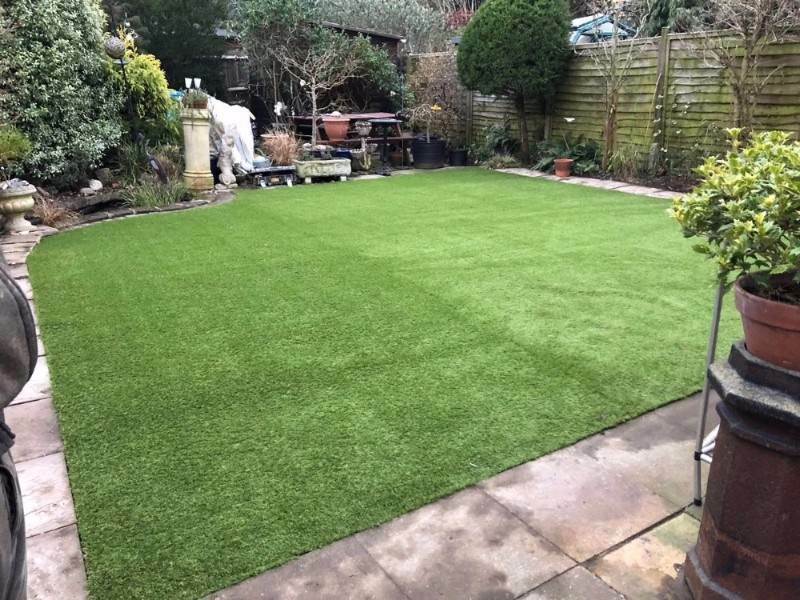 Compared to artificial turf, traditional natural turf is at a great disadvantage in this respect. Natural turf is easily affected by a series of factors such as the external environment and temperature. 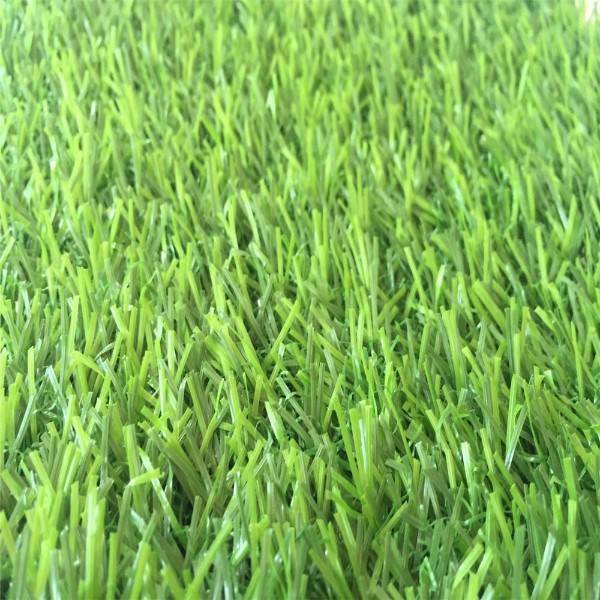 The artificial grass carpet roll has the characteristics of wear resistance and long service life, and is especially suitable for high frequency use. natural. 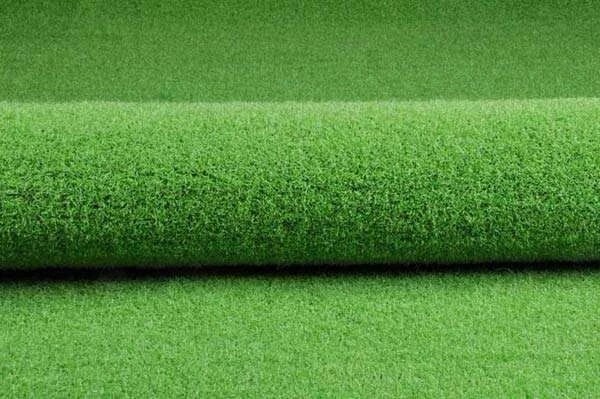 Artificial grass carpet roll was born in the United States in the 1960s. 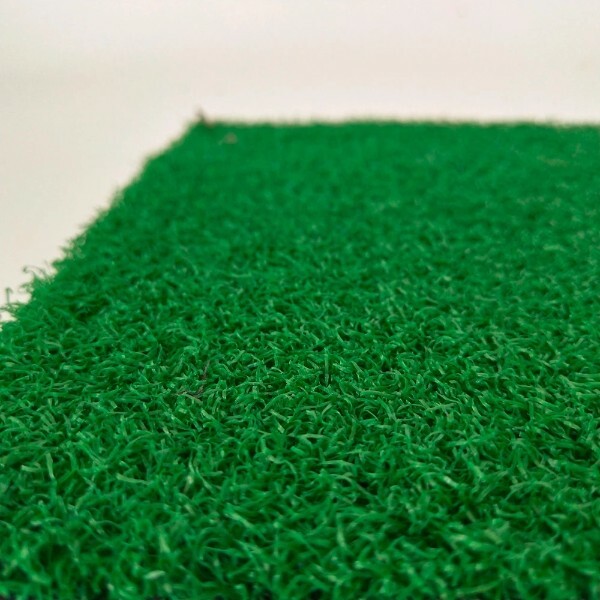 It is a artificial turf made from non-living plastic chemical fiber products. It does not need to consume the necessary fertilizers, water and other resources like natural lawns. It can meet the high-intensity exercise needs 24 hours a day, and it is simple to maintain, drains quickly, and the site. Artificial grass carpet roll is a surfacing material used to imitate grass. It is generally used in areas where grass cannot grow, or in areas where grass maintenance is impossible or undesired. Artificial turf is used mainly in sports stadiums and arenas, but can also be found on playgrounds and in other spaces. 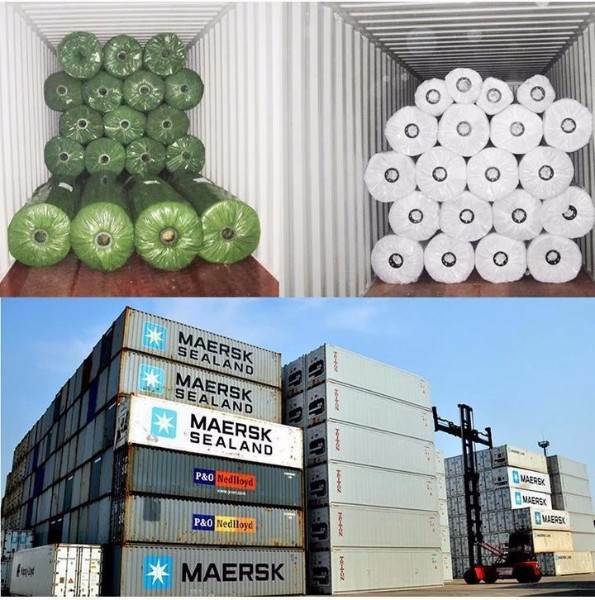 Artificial grass carpet roll has been manufactured since the early 1960s, and was originally produced by Chemstrand Company (later renamed Monsanto Textiles Company). 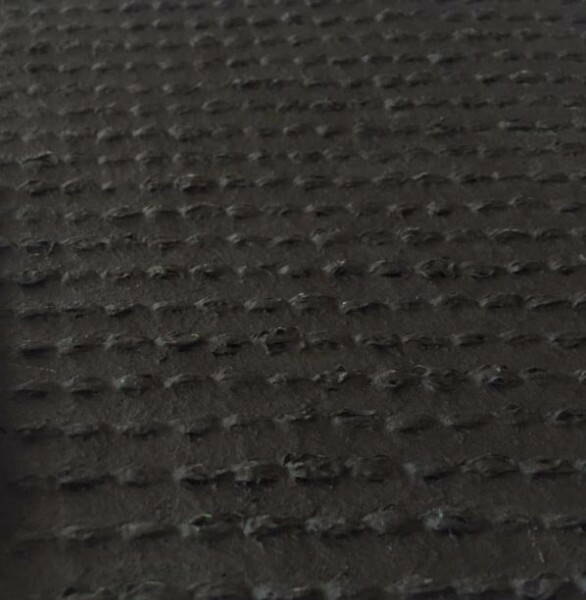 It is produced using manufacturing processes similar to those used in the carpet industry. Since the 1960s, the product has been improved through new designs and better materials. The newest synthetic turf products have been chemically treated to be resistant to ultraviolet rays, and the materials have been improved to be more wear-resistant, less abrasive, and, for some applications, more similar to natural grass. 1. It is forbidden to wear 5mm long or more than 5mm spikes to exercise vigorously on the lawn (including high heels). 2. It is forbidden to drive any motor vehicle on the lawn. 3. It is forbidden to press heavy objects on the lawn for a long time. 4. No shots, javelins, discus or other high-falling movements are allowed on the lawn. 5. It is strictly forbidden to pollute the lawn with various oil pollution. 6. It is forbidden to step on the road in case of snow, and the surface should be cleaned before use. 7. It is strictly forbidden to throw gum and all the sundries on the lawn. 9. It is forbidden to use corrosive solvents on the lawn. 10. It is strictly forbidden to bring sugary drinks into the market. 11. It is strictly forbidden to destructively tear the lawn fiber. 12. It is strictly forbidden to damage the lawn base. 13. The sports lawn should keep the filled quartz sand flat and ensure the ball's movement track or bounce track. 9, control the frequency of the use of artificial turf. Our company is a manufacturer of artificial grass with well-equipped testing equipment and strong technical force. Our total annual production capacity is about 5 billion square meters. With a wide range, good quality, reasonable prices and stylish design, our products are extensively used in gardn roof, sports area and other industries. Besides with the support of strong R&D team, we will constantly bring new products for our customers. 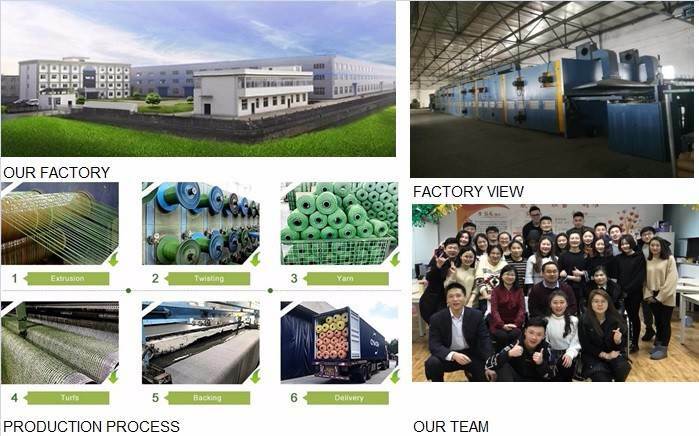 We have a large population and abundant productivity in China, especially in the field of artificial turf. 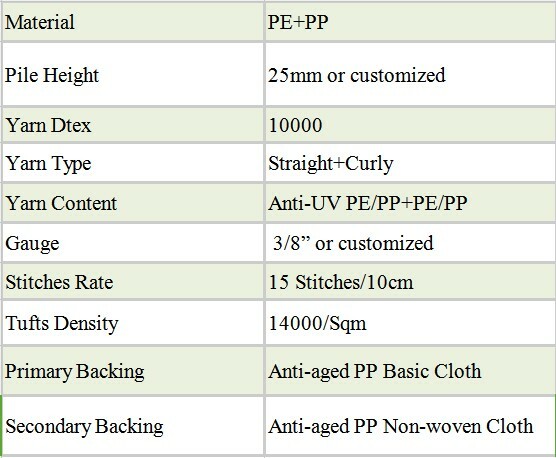 In particular, our company has a unique view on the development of artificial grass carpet roll. We have a profound idea and we have seen our introduction. You must have your own ideas. If there is any need, please join us. Department.